@MiffinFonts tee hee thats so cute! @hevbee You are so welcome! This is so adorable. Your fonts are always so amazing! Thank you. Love this font, very cute! i made the download 40.000! how do you do the heart? what is the vertical bar key?? Love this font!! 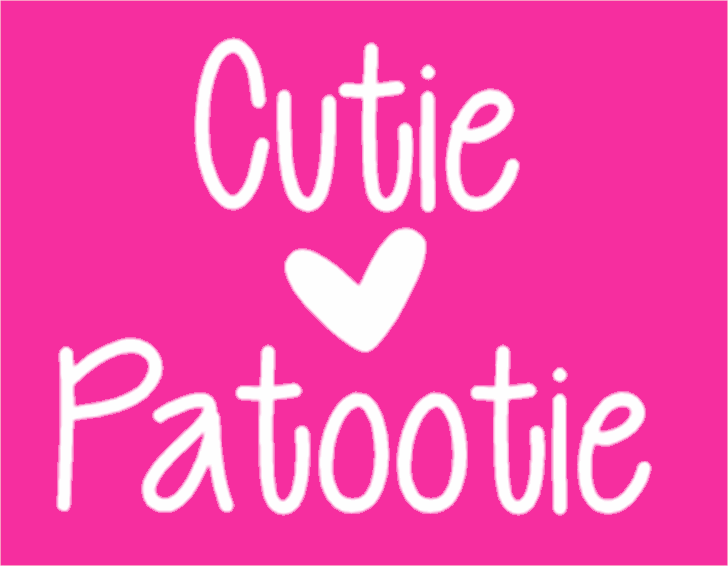 But I have a little problem .. when I downloaded this file to my macbook the only one that was successfully added to word was reg "cutie patootie" the hollow and skinny are showing up as duplicates and are not added. Can someone help me? How do I get my comp. to recognize that they are all different? I want that font on my instagram. Hey sorry ya'll will probably think I'm stupid but I can't find the (I) line on my keyboard ( i just used a capital i to show ya'll what I'm talkin about ) Where is it? Help please!!! Hey NurseJules! THANK YOU!!! That was it! I can't believe I never noticed that one! How silly of me! I know I love this 1! All of Venessa's are pretty darn cute lol! Thanks again!!! Your fonts are awesome, and I LOVE this one! 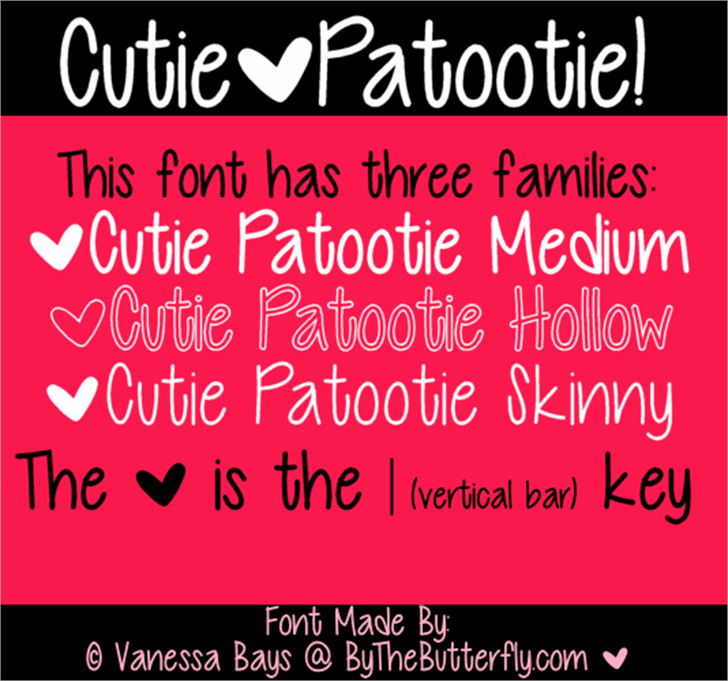 Do you know of any apps that have the Cutie Patootie font? I LOVE this font and want to set it as my font style. Is there another way to do so? PLEASE HELP ME!! Cette font sera parfaite pour illustrée des pubs concernant la location de petits gîtes en amoureux. This may sound like a dumb question, but how do I get this to work on a Mac? @Morgan123Vizzini U have to click the "download" button, and then find it in ur files, open it, and click the "install" button that is displayed above the sample of the font.